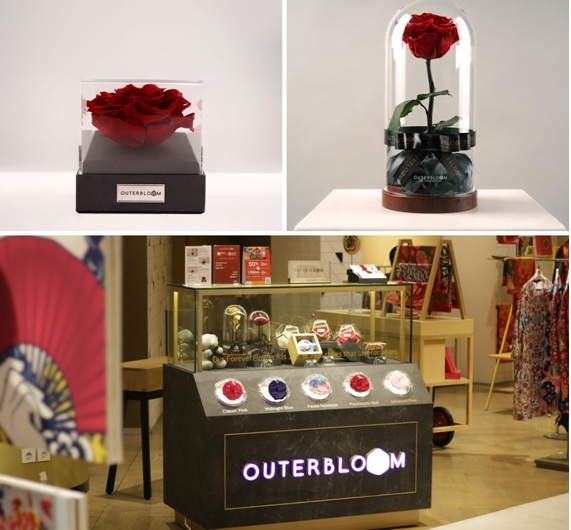 Outerbloom Forever Flower is 100% real roses imported from Ecuador. Each rose is individually handpicked at its peak bloom and treated using natural preservation technique to maintain its natural beauty and texture. Forever Flower will always be in perfect condition, can last 3 years with proper care, without requiring water nor light. Outerbloom’s collection of luxurious gifts is the ultimate gesture of appreciation and lasting impressions perfect for your loved ones. Available at Central Grand Indonesia Ground Floor.